Edelweiss has claimed that it has "acted responsibly, not only in safeguarding the interests of its investors but also in ensuring that market integrity is maintained." 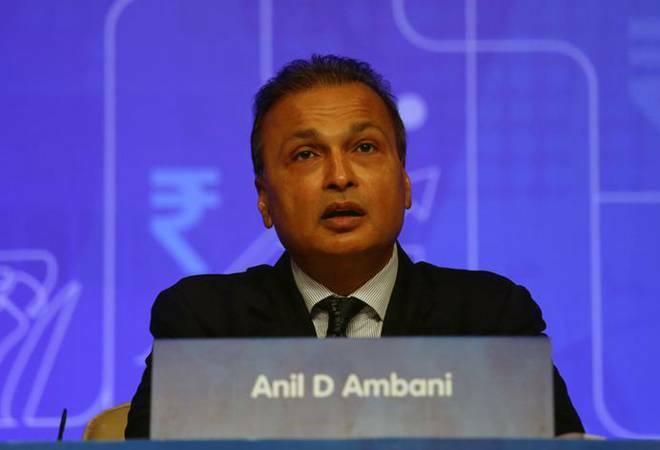 Financial services firm Edelweiss has sent a defamation notice to Reliance Group, which has alleged foul play by Edelweiss in invoking pledged shares in Anil Ambani group companies soon after Reliance Communications filed for insolvency. After refuting the "entirely unfounded, baseless and false allegations of the Reliance ADAG Group" on Friday, Edelweiss has now sent the defamation notice saying that all the steps had been "taken legally and as per contractual obligations," sources told Business Today. An email to Anil Ambani's Reliance Group on the defamation notice remained unanswered. Reliance Power, has also requested Securities and Exchange Board of India (Sebi) to prohibit Edelweiss from trading in the securities market and to investigate the disruption of Reliance group's shares. Edelweiss Group had granted credit facilities against pledge of shares to Anil Ambani's Reliance Group. "Over the last several months, Edelweiss Group has reached out numerous times to Reliance ADAG Group to address concerns on shortfall in margins (via regular margin call notices) and resultant fall in collateral valuation. Despite our best efforts, not only did Reliance ADAG Group fail to address any of the concerns raised by Edelweiss Group, but also continued to breach contractual obligations," Edelweiss said. L&T Finance, too, had granted loans against pledge of shares to Anil Ambani's Reliance Group companies. "As per loan and pledge agreements, borrower did not cure various events of defaults including providing margin for shortfall in the stipulated security cover. Despite various notices in the past few months, events of defaults continued. Consequently, L&T Finance enforced its rights of invocation and sold pledged shares to the extent of its outstanding dues by following the due process of contract and law," L&T Finance said in a statement last week. As on January 25, 2019, 74.6 per cent of the promoter's stake in Reliance Capital was pledged while the figure for Reliance Infrastructure stood at 83.6 per cent and Reliance Power at 82.8 per cent. On February 4, a sharp drop in the prices of Anil Ambani's Reliance Group shares led to further erosion in the collateral value. "Edelweiss group once again gave due opportunity for remediation. Since there was no response from Anil Ambani's Reliance Group, it necessitated liquidation of the collateral as per the agreed contractual terms. Throughout this process, Edelweiss has acted in a lawful and responsible manner," it said. Anil's Reliance Group has alleged that Edelweiss "had pressed huge sale orders significantly below the prevailing market price, thus majorly contributing to downward movement in the last traded price". Raising money by pledging shares has become a norm for Indian companies. While pledging of shares, the promoters use their stake as collateral to get the secured loans. If the price of the shares falls, the value of the collateral also goes down and the promoters have to cover the shortfall. In Anil Ambani's Reliance group case, Edelweiss has claimed that it has "acted responsibly, not only in safeguarding the interests of its investors but also in ensuring that market integrity is maintained."